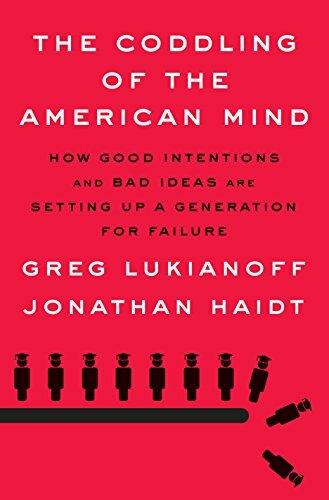 Has coddling destroyed a generation? One of the most common conversations among educators these days is the rising tide of anxiety and depression among young people. This disturbing trend comes at a time when schools are already being asked to do more and more academically, and these two factors are creating a perfect storm that we are having difficulty navigating. 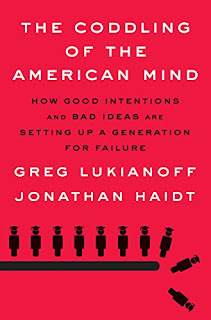 And so we are seeing ideas like grit, resilience, social-emotional learning, and trauma-sensitivity being offered up as possible solutions, and this new book by Greg Lukianoff and Jonathan Haidt, The Coddling of the American Mind. The basic premise of the book is that by protecting our children and students from everything from peanuts to opposing viewpoints, we have crippled our college campuses and created a mental health crisis among teens and young adults. The book is definitely worth a read. The increasing prevalence of anxiety and depression among young people is something I deal with every day, and it's clear that something has gone wrong on college campuses when speakers are being "disinvited" simply for holding opposing political viewpoints. I also see overparenting as a major issue. It's a constant struggle as a parent to keep from overprotecting your kids from failures and consequences, and the same goes for running a school. What is needed is an authoritative approach, with clear rules and consequences and a focus on support, rather than a permissive or authoritarian approach. Coddling is a good reminder that we do damage by not allowing our kids to experience difficulty. I always viewed parenting as repeatedly casting my kids out and reeling them back in. But while I think the book makes important contributions to the discussion, I also think it muddies the waters a bit. 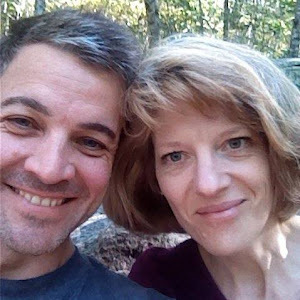 The authors are huge fans of Cognitive Behavioral Therapy (CBT), and they noticed that some of the cognitive errors targeted by CBT are similar to logical errors being made, in their opinions, by parents, schools, students and universities that are overprotecting kids. From there, they built their case that overzealous censorship at universities and the mental health crisis were symptoms of the same cause--what they call the "3 Great Untruths." While I agree that these are dangerous errors, I think this greatly oversimplifies the problem. From my perspective as an administrator, overzealous protectionism at schools has little to do with ideology or philosophy and everything to to with protecting ourselves from litigation. But that is a minor issue compared to the question of what is causing the mental health crisis. The authors themselves mention some other possible causes of rising anxiety and depression, such as screen time (citing Jean Twenge's book, iGen). Sarah Rose Cavanagh has questioned the role of screen time, but suggested several other possible causes, including the decline of "face-to-face social communities" and economic inequality, just to name a few. Human psychology is complex, and the changes taking place in our society are profound. Take, for example, the massive cultural shift that has been under way in our whole worldview as a society. I just finished listening to The Denial of Death by Ernest Becker. This classic lays out Becker's theory of what happens when you strip the dominant religious worldview from a culture. Who knows but that we are also seeing those types of effects today among young people? We live in a world that has become a whitewater rapid of change--technologically, culturally, economically, you name it. Anyone growing up in such a world as this would be understandably prone to anxiety, just as much as they would if they were born in the midst of a river rafting trip. I think our best bet in supporting them is to do just that--support them with research based practices and provide high expectations backed up by high levels of relational and academic supports. Allowing them to experience consequences is part of this, but my concern with this book is that is reflects a movement to discount the massive changes taking place today and their impact on kids. Kids today have to be tougher, in my opinion, than I had to be growing up. It means we have to be there for them even more than ever, casting them out into the whitewater and reeling them back in again, again and again. A group of teachers sit around a table while one of them heats some water in a couple of soda cans and then puts them in an ice bath. I won't tell you what happens in case you've never seen the demo, but the teacher delivers this lesson as if we were students, and he is looking for feedback about his questioning techniques. After he's done, all of us, including the teacher who presented, take a few minutes to write down positive feedback and things that could be improved on. Then we go around and share out, and we finish off with the teacher sharing his reflections. This is called "micro-teaching," and it's #13 on John Hattie's ranking of factors affecting student learning. That's #13 out of a total of 252 factors listed. That's a big deal. Micro-teaching has an effect size of 0.88 on Hattie's scale, where 0.40 represents the amount of student learning you would expect in a year, on average. That means micro-teaching could double your impact on student learning. We decided to try this out on a PD day at E. O. Smith, and it was lots of fun. It's a chance to try out a new teaching strategy you are working on, a new lesson idea, or to get feedback on something you are struggling with. I came away with a few cool new tools for my teaching toolbox and some great feedback on my own practices. I'm looking forward to our next session this week. Here's the protocol and feedback form. I want to tell you the story of my journey in project-based learning and what it has taught me as a teacher an administrator. In 2015, I took a job as director of E. O. Smith High School's Depot Campus. It's a program based on the Big Picture Learning model that focuses on learning through internships, advisories, and independent learning projects. I was excited. I had been experimenting with innovative models of education for years as a science teacher at the main campus. I'd created online and flipped classes, and had just finished what I considered my greatest achievement, a mastery-based, differentiated biology class. I saw the Depot program as an extension of what I'd been doing and an opportunity to continue to learn about and develop constructivist learning approaches like project-based learning. But as I walked past the several unfinished student murals on the walls of the little school, I should have known I was in for a challenge to my assumptions. It is a pretty cool idea, when you think about it--kids engaged in things they're interested in. And if you take a look back at some of my blog posts from that first semester, you will pick up on the excitement I felt. But if you continue to follow my posts through the winter and into the spring, the story takes a twist. What I expected to see was students motivated by autonomy, mastery, and purpose and engaged in their independent work because they had the freedom to work on what interested them. But instead of working on their own projects during their daily "self-directed learning time," many watched YouTube or Netflix, played video games or just chatted. Only a couple of students ever completed the independent projects they had planned with their advisors that year. I was disillusioned. What was going on? So I gathered my team, and we all agreed that we needed a bit more structure. We reasoned that the students lacked basic organizational and other project-management skills, so we created "Project Block" to replace their "self-directed learning time." During this block, I would guide the students through a series of guided science projects, each one focusing on a different "project" skill, such as planning, troubleshooting, or research. Each project also allowed for student choice, and during the course of the year I tried a few different methods of tracking and monitoring student progress on their work. The goal of Project Block was that each student would successfully complete an independent project after the initial 8 canned projects. While nearly all students successfully completed the first 8 structured projects, only a couple of students successfully completed the fully independent project. It was as if they hit an unseen wall when they were fully on their own. Maybe what the students needed was guidance all the way through the project process. So instead of a series of canned projects, the following year I worked with my students in small groups to develop science project ideas and carry them out. One group built a maze and started running experiments to see if hamsters could learn the maze. The other decided to try aquaponics. They grew trout in a fish tank and circulated the water into a second tank containing lettuce plants. The fish water fertilizes the pants, and the plants clean the water. Both were very cool projects. It was exciting at first, but as time went on, it became harder and harder to maintain the students' momentum for new learning. The hamster project team resisted my efforts to encourage them to do more research and improve their experiments. The aquaponics team never developed any experiments, and though they successfully grew both trout and lettuce, they spent most of the time during Project Block on their phones, YouTube, or chatting. During the summer after the third year, I read a new book by John Hattie and his colleagues called Visible Learning for Science. In that book, he addresses the nagging question of why inquiry-based learning, problem-based learning and other such approaches, which make so much intuitive sense, have such low effect sizes. In other words, why aren't they effective? His answer is that they are effective if they are used at the right time--after the students have learned the basics. They are useful methods for extending and deepening learning, but not for initial knowledge acquisition. And so I had a new hypothesis. Students could not do independent projects, not because they lacked generic project skills, but because they lacked the fundamental content-specific knowledge and skills needed or the specific projects they were working on. So I began the fourth iteration of our project-based learning experiment. 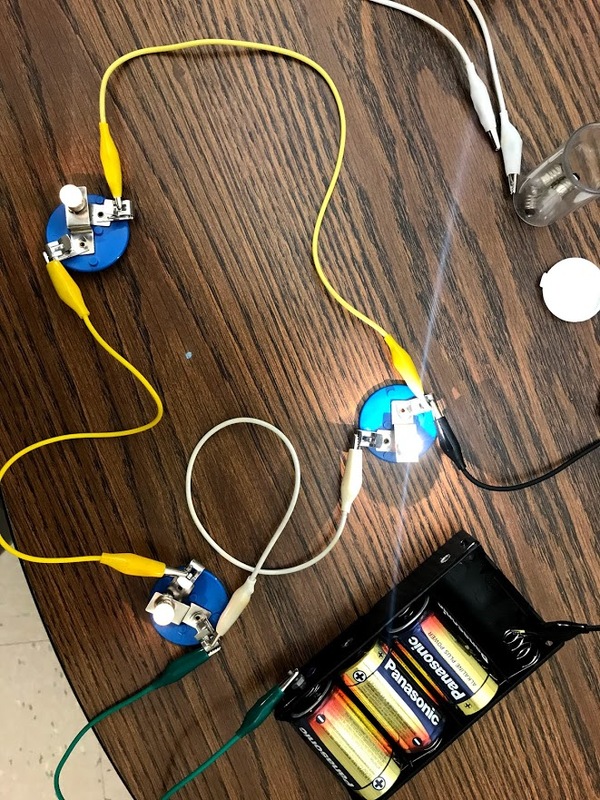 I decided to teach students the basics of electricity and electrical circuits using the CASTLE curriculum, and then have them each do an independent electricity project after they mastered the skills they needed. The CASTLE curriculum is really cool. It is a hands-on, self-guided curriculum in which students read instructions, set-up experiments, make and test predictions, and then read summaries of concepts. But about half of my students were not able to progress quickly enough. This could have to do with the reading level, but I had solved that by making a series of instructional videos, and students still struggled to progress through the curriculum on their own. The CASTLE curriculum, it turns out, is actually more of a constructivist approach, and I'm not sure why I thought it would solve my problem in the first place. I think I was driven primarily by the need for a canned curriculum that required little lesson prep. In any case, it was failing for most of my students, so I decided to give them two options: Continue with the CASTLE curriculum, or switch to lessons delivered by me. I would put together mini-lessons and hands-on activities and projects on a variety of science topics selected by the students. All but one chose the lessons. And thus the final nail was hammered into the coffin of the 3-year long experiment in project-based learning. Some may say that it's just a problem with this particular population of students. Many of our students struggle with attention, hyperactivity, impulsivity, anxiety, depression, and other issues that affect their ability to stay on task, complete work, and in general, find success at school. But it turns out that this is exactly the kind of student for which the project-based approach is often offered as a solution. And what is the goal of the projects anyway, if not learning? How did the projects become and end in themselves? When did "independence" start to trump learning? For me, the experience of the past three years has been a cautionary tale of confirmation bias. I started with the assumption of project-based learning and then went through several cycles of trying to justify it. Ultimately, like a creationist finally coming to terms with the evidence for evolution, I have to go where the evidence leads. It is now March of Year 4 of my experiment, and my new approach of explicit instruction followed by projects has devolved into pure guided project work. It proved too difficult to use an explicit instruction approach while having to create a curriculum from scratch and on-the-fly. For several weeks now, we have been working on optimizing baking soda rockets, and the students love it. They look forward to Project Block, but I have to remind myself that having fun is not the same as learning. Video games are fun. We need both. 1. Spend the summer developing a science curriculum based on Hattie's layered approach: Explicit instruction first, then projects. 2. This may seem like it comes out of nowhere, but I am toying with the idea of trying Mike Schmoker's approach next year. In his book, FOCUS: Elevating the Essentials to Radically Improve Student Learning, he argues for a greater emphasis on literacy across the curriculum. I am considering a reading- and writing-based approach to science at the Depot. Not only would this be a way to help them acquire the foundation of science knowledge they need, it would focus our energies where they need to be focused. Many of our students are at-risk and behind in their basic skills, so building confidence in reading, writing and math could trump any benefits hands-on science could offer. My current working hypothesis is that engagement is not about student interest, but about their sense of competence. And I think this holds true for reading, writing, and math as well as anything else. My real goal is to prepare these kids for college or career, and I want to do whatever will move them in that direction. You might think that this entire four year sequence represents a retreat from independent and personalized learning, and if you thought that, you would be correct. But I believe we must go where the evidence leads, and we do what is best for the students, even if it means abandoning, or at least revising our beliefs about learning. As John Hattie says, we must not "hold any instructional strategy in higher esteem than students' learning."